Christmas 2018 celebrations have begun. While you may have already been spammed by your family and friends with those Christmas GIFs, photos and text messages on WhatsApp, you know better that 2018 was the year of stickers, and that's probably how you should go about this holiday season. 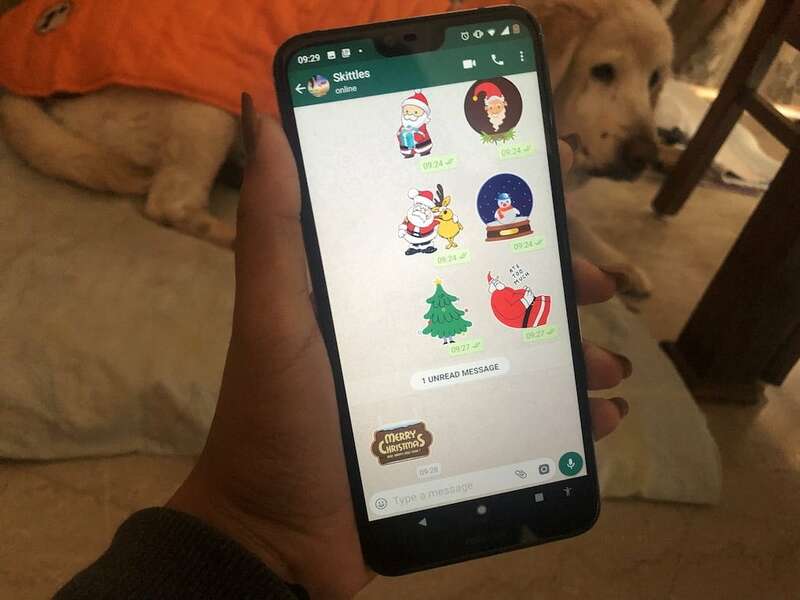 And so, to make your job a little bit easier, here are some sticker apps on Google Play Store and iOS that will let you download and use the Christmas-themed stickers on WhatsApp. This sticker app on Google Play Store has a bunch of festive-themed stickers. For Christmas alone, it has Christmas stickers, Santa Emoji stickers, Santa Claus stickers, Snow Man stickers, and Christmas Tree stickers. Downloading these stickers is simple. Head to WhatsApp, open your keyboard and choose stickers. On the right, you will see a '+' icon, which will lead you to a tab with WhatsApp's own sticker apps, and your own. Under the 'All Sticker' tab, scroll down to the end to find 'Get More Stickers' option. Tapping that will lead you to all Stickers app for WhatsApp on Play Store. All of these apps will be under the same name, ie, 'Stickers for WhatsApp', so make sure you check the developer name to recognise the correct app. This one is developed by Awesome App World. Unfortunately for iOS users, this app is currently only available on Android. The alternative to downloading a sticker app, is to make your own. An app called Sticker Maker for WhatsApp (for both Android and iOS) allows users to create their own WhatsApp stickers, and the process is easy. Head to the Google Play Store and search the ‘Sticker maker for WhatsApp’ (by Viko & Co.). Download and install the app, and when you launch the app, you will see an option called ‘Create a new sticker pack’. To give the sticker pack a custom name, you would get a pop-up option to do that first. You can totally skip this step too. Once through that, you will see an empty sticker tray. Tap on another of them to add new, and you will have an option to add a file from your phone or click a new one for the sticker pack. Choose and add an image, and then you can outline the part of the picture you want in the sticker. The outlining bit can get a little tricky, but you will have the option to undo and redo. So go at it! After you are done adding all the stickers, hit on the green-colour Publish Sticker Pack option on the bottom right. 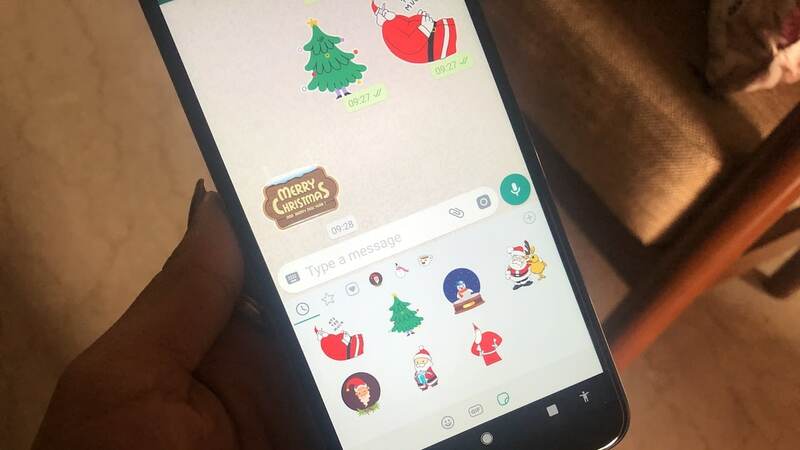 Among WhatsApp's default stickers on the app, there is one called 'Merry & Bright', which WhatsApp added just earlier this month. The sticker app has a bunch of quirky Christmas and Santa stickers. To download it, just head to the add sticker icon, and you can look for it in the 'All Stickers' tab. So, don't be lazy, make this holiday crazy! Merry Christmas to all from Team tech2!